Go Green for the Leprecog! Top of the mornin’ to ya, laddies! Have ya heard the news? What news!? Are ya tellin’ me ya have no idea about the Leprecog? Yes, yes, the Leprecog. A wee little Cog that comes around evr’y Saint Patty’s Day and gobbles up all the beans it can find. Dastardly lil' fellow he is. Leavin’ no beans for the rest of us. 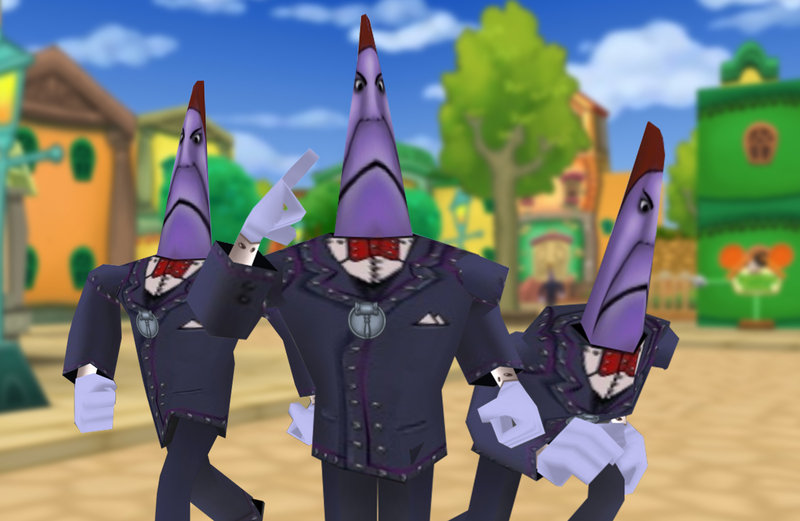 I’ve heard that he scurries through our very streets, ready to pounce on us helpless Toons and steal our beans! Egads, it gives me the shivers. Luckily, ya know me - good ol’ Eugene the Irishtoon! My green gloves, dyed with all-natural green jellybeans, will sure make that Leprecog skedaddle. Whaddya mean my gloves aren't green? Oh- blast it! Ye didn't see anything, I tell ya. Anywho, back to the conversation at hand. One pair of green gloves for every Toon should do the trick. Because the Leprecog hates the sight of a bean put through the wringer. Hmm... yes. It dislikes that very much. That sounds good. Good Job, Eugene. Smart move. Don’t ya go lookin’ this up in the library! I’ve already done all the studying for ya. Lepre...cog...ology is a serious practice. Hehe. Oh, where was I? Ah! So stop by me ol' shop, Green Bean Jeans in Daisy Gardens! Don’t let the Lepre... umm... what'd I call the thing... come on, use yer noggin’... AHA! THE LEPRECOG! Ahem. Don’t let the Leprecog ruin your Saint Patty’s Day this year and let me dye your gloves a shiny green hue. I need yer business for me shop, after all. I MEAN... I need yer... citrus... for me... cough. Eck Agh Bleh. That's right. Grab yerself a pair of shiny green gloves, Toons! 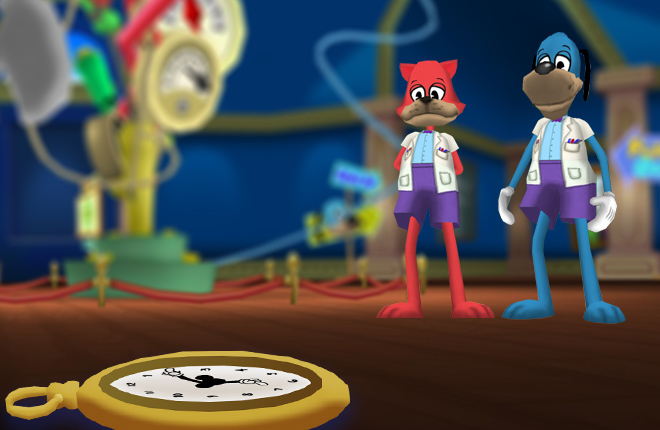 Remember, these limited time special gloves'll be available until March 21 at 11:59 PM Toontown Time (PDT)! They also conveniently disappear from yer gloves at that time as well. I oughta be increasing the quality of my Green Beans one o' these days, maybe they'd last a wee bit longer. Once the gloves are gone, I suspect my cough'll be clearin' up. Hachoo! Ah! Sick noise. All you gotta do is walk up ta' me and say "It's Easy to be Green!" from yer Handy-Dandy SpeedChat menu. Now make like a Leprecog and skedaddle on over here, before I run outta Green Jellybeans! Thank you Eugene, very cool. 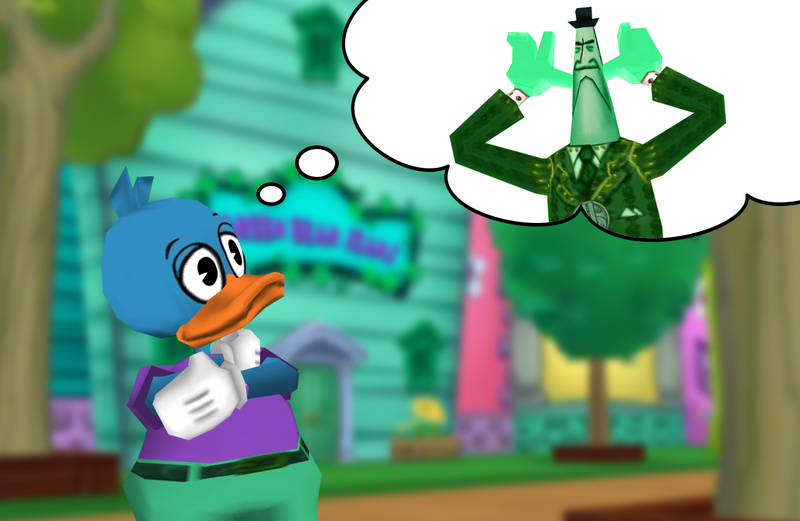 Already got green gloves on all my toons days before this announcement, thanks Eugene! Bring back full green toons! Woah there, Eugene, calm down! I can barely read what you're typing! 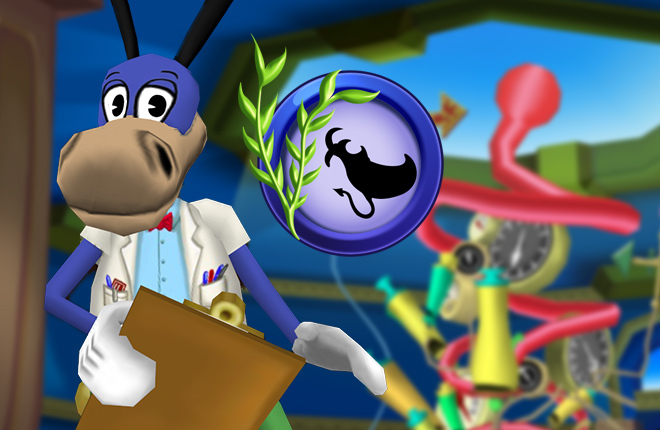 Irish Accents for TTR FTW! Eugene is a Eu-GENIUS!!! Thanks so much, on my way now! Ok, Eugene, this is epic. His job was to COUNT the beans, not eat them! This means he'll be fired by the same robots who hired him! We must find this "Leprecog" you speak of and give him a pie to the face! Can you actually fight the Leprecog? No? Oh ok. I am rooting for the cogs this time, they need a break! I like the green gloves, I'd like to see different colored gloves added to the cattlelog so I can have some to match different outfits. Do Leprecogs grant wishes when you explode them or catch them? 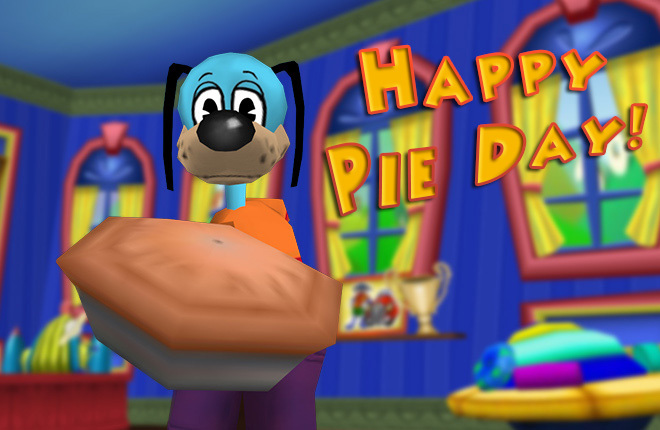 Celebrating Pie Day in the New Toon Hall! The Silly Meter Has Reached the Top!